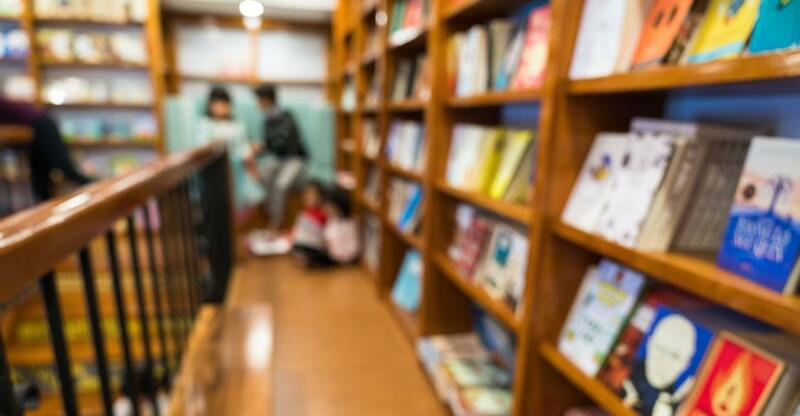 Running a bookstore in today’s tech-driven world is tough, owners must compete with e-reading devices and online retailers taking a lot of trade. Surviving solely as an independent bookstore may be risky, you need to have a USP to keep your customers coming back. You should aim to make your shop a place where the community can meet, rather than operating solely as a retail business. Hosting events can be a great way to publicise your store. This will also help you establish closer relationships with your regulars and reach out to other potential customers. Promote an event on social media, through your website and within the store. You should also contact relevant groups or businesses; for example, if you have a children’s author reading at your bookshop, contact the local schools in the area to let them know. You can also advertise your event on a Facebook business page, in local newspapers, on the radio, and event listing websites. Try to reach out to a target audience; if you’re putting on an event focused on self-help books, for example, reach out to local community support groups. You may also want to consider setting up a book club so your regular customers can share their views on new book releases. Creating a community will keep your customers loyal, which is important with the vast amount of competition within the retail industry. Your bookshop might be a niche store that specialises in historical literature or a haven for bookworms that enjoy reading diverse genres. No matter what kind of shop it is, though, ordering stock and managing your inventory is a skill that must be mastered in order to run a seamless and successful operation. Knowing which authors sell well and who your customers are is key. You should stock a range of titles that appeal to different tastes. Be wary, though, of over-ordering, building up too much inventory or having titles collecting dust on your bookshop shelves. Make sure you keep your stock fresh and interesting, keep up-to-date with new releases and promote local authors. You should analyse your sales rate, this will help create an appealing selection within your store and keep the stock turning. Amazon is rumoured to be considering a new office complex in Cape Town, which could accommodate 10,000 employees. As the retail giant continues to expand its operations worldwide, bookshop owners can also benefit by selling their stock on an Amazon. You should consider Amazon fees and the time and money you will need to spend posting books to your customers. You will also be competing with other booksellers and people selling second-hand books, which could affect your price in order to remain competitive. Selling books on your own website means you can keep more profit for yourself. However, you need to invest in marketing and building awareness for your brand in order to generate a healthy income from your online sales. If a customer comes into your bookshop asking for a recommendation, you should feel confident that every employee in your team has the knowledge and the ability to suggest a book that is tailored to the customers reading preference. Make sure your team are knowledgeable in a mix of genres and train your staff to know the authors you stock. Ideally, you want to employ staff who have a genuine interest in reading and keeping abreast with contemporary literature and novelists. Investing time and money in making sure your staff engage well with customers will not only boost your sales, but it will also give your team the motivation to create a positive environment. Finding efficient retail workers can be a hard task, so think of incentives to boost employee morale.